We acknowledge the traditional custodians of the greater Blue Mountains – the Darkinjung, Darug, Dharawal, Gundungurra, Wanaruah and Wiradjuri people – and pay respect to their elders, both past and present. Welcome to Blue Mountains Nature. 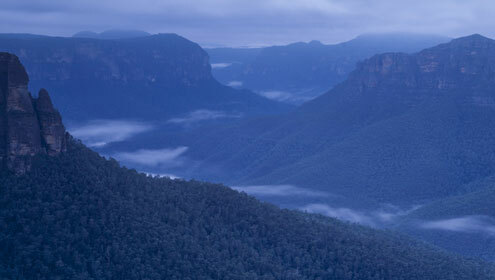 The Greater Blue Mountains is one of Australia's most important and diverse conservation areas, and is listed on the World Heritage register. The region also has local communities and a wider spread of citizens committed to its long-term protection. 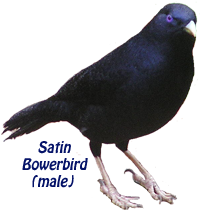 This website aims to provide comprehensive information on the natural heritage of the Blue Mountains, supported with artistic responses to the local environment and profiles of conservationists who have played a significant role in the region. We want to inspire and inform with a combination of visual, artistic, personal and technical content. We strive for accuracy and integrity by involving local experts and referencing authoritative documents. Wherever possible and necessary we will always obtain permission and acknowledge the source of intellectual property (words and images) that we include in the website content. If you notice any inaccuracy, unattributed content or falsely attributed content, please contact us. Natural heritage takes in landscape, ecology, flora, fauna and conservation. Artistic responses to the area's natural heritage include visual art, literature and music. Cultural heritage is included where it can inform aspects of natural heritage. We hope you enjoy these offerings.